Chateau Ste Michelle 2008 Chardonnay & Roast Chicken–Yum! Pop the cork! I won a Wine Blogger’s Scholarship to Washington State! Over the weekend, I heard good news and bad: the bad news was that I was on the waiting list for a scholarship to this year’s Wine Blogging Conference in Walla Walla Washington. The good news was that I was on the waiting list for the Wine Blogger’s Conference Scholarship–and if enough money came into the Scholarship Fund, I’d be on my way to Washington in mid-June!! You can imagine I was already on pins and needles waiting this past week to find out if I’d won a scholarship, and now, I’d have to wait longer! My mind raced, wondering ho I could help drum up more cash for the conference–and how far down I was on the waiting list. 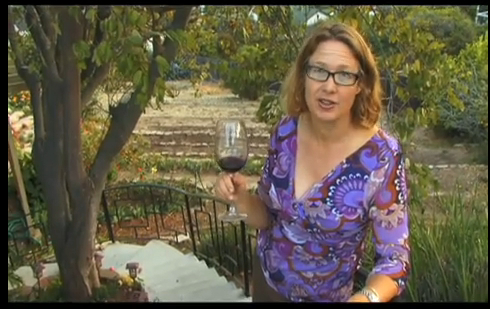 2010 Wine Bloggers Conference Sells Out! So Join the Wait List Now! No, I don’t mean the Wine Bloggers Conference has sold out ethically–it’s sold out sold out! That means maybe if you’re lucky, and you join the waiting list TODAY, you’ll get a spot. Why would you want to go? As someone who has attended the past two years in Santa Rosa as well as the European Wine Bloggers conference in Lisbon, I can tell you attending is an amazing experience. You can read about my experiences via the many posts I put up each year on the pages above. The first year the conference focused on Sonoma country wines and those from New Zealand. In 2009, we traveled all over Napa to taste that region’s wines and there was a tasting of wines from Portugal also. The Portugal conference highlighted Portuguese wines in a way impossible without traveling all over Portugal. 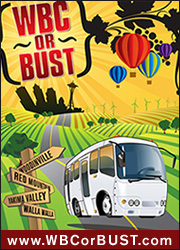 2010’s conference will emphasize the wines of the host state, Washington with tours and tastings and talks. These conferences bring to the wine blogger an astounding array of incredible wines. 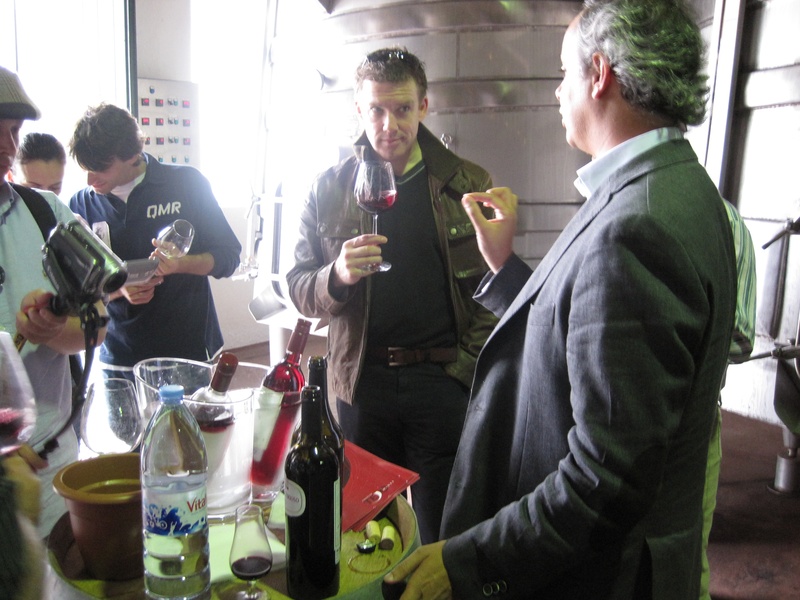 Often the winemaker is in attendance to share more about what makes his or her wines special. If you’re one of the 1,000 wine bloggers out there, you’d have the opportunity to up your game by tasting 100s of wines in the company of wine bloggers and wine professionals. The conferences are a great value as well. The meals are absolutely fabulous and match marvelously with the wines! So what else could you ask for? Wine, food, friends, plus guest speakers and sessions designed to improve your knowledge of wine and wine blogging. Learn more at the Wine Bloggers Conference website. If this sounds too good to be true, it almost is. Here are a few more details form the website about who should attend and how much it costs. Citizen Bloggers who write about wine or the wine industry on their own. In 2010, we are also focusing on wine & food pairing and so invite all food bloggers as well! Winery Bloggers who have a winery-related blog. We will have special content tailored to winery bloggers. The cost of the conference is $95 for citizen wine bloggers (those unaffiliated with a business or organization), $195 for industry wine bloggers (those whose blog is affiliated with a winery, retail store, or other business or organization), and $295 for non-blogger participants (industry, media relations professionals, friends and family, etc). We are able to offer a lower price to citizen bloggers and wine-industry bloggers because it is for these folks our sponsors underwrite the conference. If you are a member of OpenWine Consortium, you will receive a discount of $10 (just indicate your membership on the registration along with your member name and we’ll discount it automatically). Payment is required in advance by credit card. Such a deal! There’s even a scholarship to help needy wine bloggers attend! If you can, please support this worthy cause with a small or large donation! Day 2 Itinerary: Food & Wine Pairing at Ste. Michelle–The first stop of the day will take place at Chateau Ste. Michelle, Washington’s original Chateau and founding winery. Following a guided tour, our guest bloggers will enjoy an informative food and wine pairing experience. Yes, you guessed it, I went with the wine selection from Washington State to add to my collection of posts about Washington State wines to compete in the WBC-or-Bust contest. And like I said in the previous post, it’s the one Washington State merlot the grocery store had–a 2005 Chateau St. Michelle. Makes sense for my first WA wine to write about it the first stop on the bus, yes? Maybe this will be a trend–or a direction on where to go with this series of posts! Mild to Intensely Flavored: Grilled salmon, roasted lamb, wild game, and balsamic or tomato-based sauces work well with the jammy flavors of Merlot. Chinese: Merlot has a softer taste that lends itself to the flavors of Chinese food. Peking duck, mu shu pork, braised soy pork. I can totally see this pairing nicely with the plum sauce and flavors in mu shu whether it be chicken, pork, duck, tofu or beef! They of course suggest one of their cabs to go with the steak! Overall, while merlot isn’t my favorite varietal, I’m not one to turn up my nose just because it’s merlot; I’m willing to give it a go and I’ve had some good ones. This 2005 Chateau St. Michelle is a great value on sale at $10. Bring it to a party and everyone will enjoy it. It’s a terrific, mild, juicy red wine for the white wine drinker. Now to find another Washington Merlot to taste by Thursday! And guess what we’ll be having for dinner? That’s right–I’m going for Chinese take-out of Mu shu pork! And since I am go ing on a Washington Wine tasting and blogging binge in order to compete in the WBC-or-Bust contest, it’s a no brainer that I will be participating in Thursday’s live Twitter Tasting for Washington Merlot. Trouble is, I live in California, in a town some of us call “Ventucky.” It doesn’t boast much in the way of wine stores–although some people here do boast about our wine BARS. Granted, Nick’s Cave and the Ventura Wine Store is a wonderful place; however, he specializes in California wines, particularly local ones, and especially those that the distributor will give him marked down lower than some wineries are comfortable going. So I went to Vons. We have five Vons in our small town, and fortunately for me, two of them have a decent wine selection. One of them, on Seaward by the beach, sells the most wine out of all the stores in California I’ve been told and makes the most money per square foot out of the whole chain. Probably because they carry and sell a LOT of pricey wine. CALIFORNIA wine. I went to the Vons on Borchard. On their clearance shelf I got lucky and found one of my favorite inexpensive pinot noirs, Wild Rock, for 50% so I picked up two bottles for the price of one ($15) plus a 2006 Babich unoaked chard for $5 and a Napa Valley White Oak Syrah for $13. Unfortunately I could only find one Washington merlot, a 2005 by Chateau Ste. Michelle on sale for $10. Since I bought six bottles, they took another 10% off. In addition, the other day I picked up two bottles of Ravenswood 2007 Vintners Blend at 50% off (two at $12), and I walked out of Vons with a 2008 St. Francis Chardonnay for $9! This state of affairs is going to make it very very difficult for me to write much about Washington wines in the next month in order to be competitive in the WBC-or-Bust contest. I just bought nine bottles of wine and even at discounted prices, I spent some money , and I only ended up with one from Washington! And my Twisted Few wine club shipment just came in to my cellar up at my mom’s house! One last dilemna: what to drink with the beautiful New York steak I bought for tonight? Do I drink the Chateau St. Michelle Washington merlot and get started on my challenge and prep my tastebuds for Thursday? Or do I drink one of these other fabulous wines I bought in the past 72 hours? I hope the suspense doesn’t get to you! Want to join in the fun? 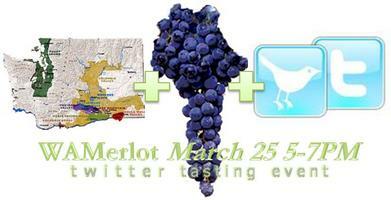 Register for the Washington Merlot Twitter Tasting here; it’s free and you don’t even have to register to participate. Just get on twitter and let the tweets flow with the Washington merlot! Word count: this one clocks in at nearly 600 words! I definitely should have turned this one into three posts!